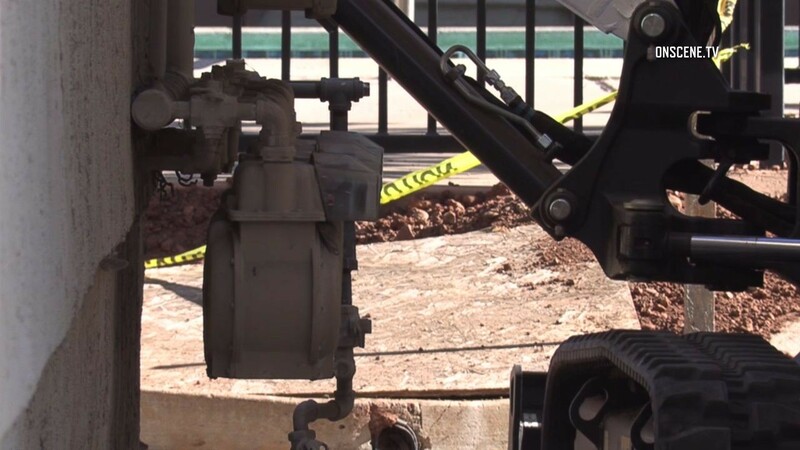 A construction worker inadvertently ruptured a natural gas line Tuesday while using an excavator machine in a Mira Mesa-area neighborhood, sending one person to a hospital and forcing the evacuation of dozens of people from a nearby apartment building. The accident left the underground pipeline broken and spewing fumes in the 10100 block of Maya Linda Road shortly before 10:30 a.m., the San Diego Fire-Rescue Department reported. Firefighters cleared about 55 people out of the Maya Apartments complex while utility personnel were en route to address the problem, said SDFRD spokeswoman Monica Munoz. Medics took one person to a La Jolla hospital for an evaluation. Munoz said she did not know what type of ailment led to the hospital transport. Repair crews had the leak under control within about two hours, after which the evacuated residents were able to return to their homes, according to San Diego Gas & Electric. The mishap left one apartment building in the area without natural gas service, SDG&E spokesman Joe Britton said. Officials hoped to have the gas line repaired and service restored by early evening, he said.